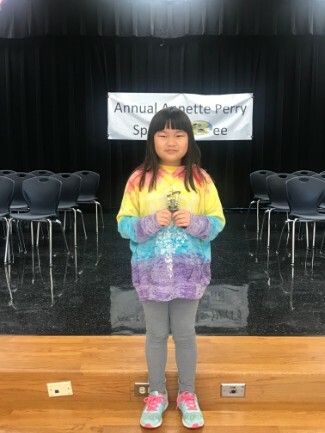 Our newest Spelling Bee winner was crowned last month on December 12 for the 2018-2019 school year. We are very proud of all our contestants. The winning speller was 4th grader Maya Larson from Mrs. Bonnie Fallis's room. Congratulations Maya for a job well done!